Home » Service Manual Catalog » EPSON Adjustment Programs » InkJet printers » Epson_4910 I have paid for Reset Key but not received yet. This adjustment program can be used under Windows XP, Windows 7 ( or under higher versions [in compatibility mode]). With this Epson Pro 4910 Adjustment Program You can make adjustment procedures and Initial Ink Charge. You'll be able to download program immediately after your payment transaction is complete. 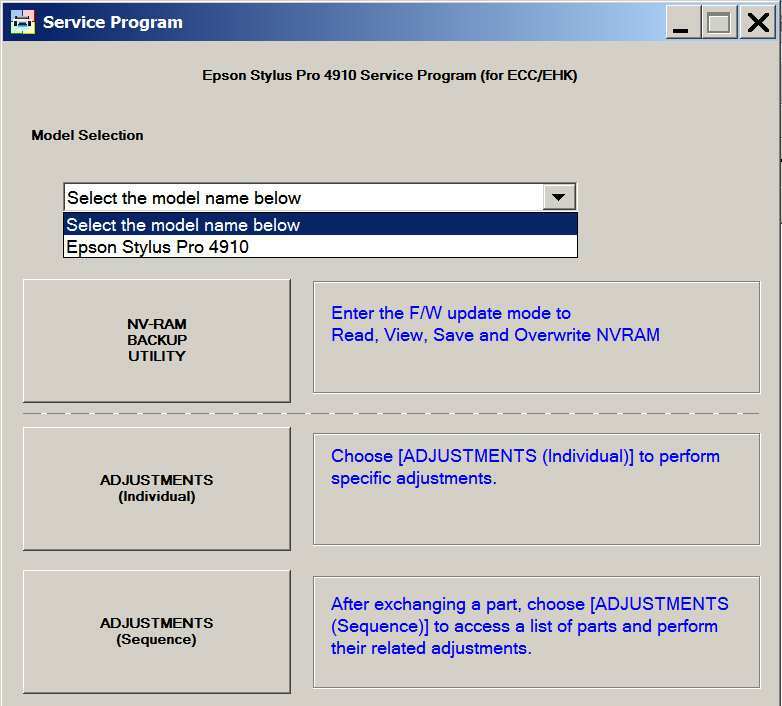 We recommend reading the Epson Stylus Pro 4910 Service Manual before using the adjustment utility. CANON iR600 Parts Catalog Thank you very much!